Exposing Intelligence Agency Human Rights Abuses & Zionism: Do You Have Microwave Sickness? See the articles here and here about being targeted with electromagnetic energy and the resulting symptoms. See this previous post for a whole bunch of links to check out about directed energy microwave weapons. See here and here for more information about psychotronic weaponry and electromagnetic weapons. See here and here for more information about classified technology, mind control, and electromagnetic weapons. Also, see here for an article about how exposure to electromagnetic fields could be the real cause of autism. children allowed unbridled access to this technology. small percentage of cases can trigger early onset dementia. Wake up, wireless addicts! This article, listing 22 health effects from exposure to wireless technology: cell phones, mobile phone antennas, Wi-Fi… was written in early 2007. Today, more and more independent scientific studies are affirming these potential health effects. “Unconscious”, yes! Digital Dementia is declaring itself in heavy users of wireless technology. Many people have a hard time fathoming that something that they cannot see, touch, smell, taste or hear - sense with the five senses - can harm them so much. But if people did really know the facts regarding the dangers of cell phones and WiFi and the masts that emit a pervasive level of microwave radiation, would they still be willing to use them? Would they still be willing to allow the antennas to be built in the vicinity of their homes, workplaces, schools, and hospitals? Dr. George Carlo, who used to run a multi-million dollar research program for the cell phone industry and went public regarding the dangers posed by cell phones, uses the analogy of putting a frog in water. If you put a frog in boiling water, it will jump out. However, if you put a frog in cold water and gradually heat the water, you can cook the frog because the frog's body will adjust to the slight changes in temperature and it will not notice it is being cooked. Well, the same thing might be happening to an unsuspecting public - a public that has not been informed about the real dangers of microwave radiation from cell phones, WiFi and other high-frequency-radiation emitting devices and antennas. The truth of the matter, your cell phone, and your WiFi might very well indeed be making you and those around you sick! Please read on! 1.Symptoms known to be caused by exposure to microwave radiation: insomnia and other sleep disturbances, headaches, swollen lymph nodes, depression, anxiety, loss of appetite, hypoxia (lack of oxygen getting to your tissues), inability to concentrate, forgetfulness, dizziness, irritability, nausea, hyperactivity, fatigue, vision problems, dry eyes, eye inflammation, weakened immune system, allergies, frequent urination, night sweats, extreme thirst, etc. These symptoms very often suddenly appear in people who have had a cell phone tower installed nearby their home. 2. Microwave exposure induces Oxidative Damage leading to depletion of the body's natural store of antioxidants like Super Oxide Dimutase (SOD), Catalase, Glutathione, CoQ10, and Melatonin. When the body becomes depleted in antioxidants, premature aging, increased infections, and sticky blood are just a few of the consequences. With a depressed level of antioxidants in the blood, for example, high-density lipoproteins (HDL) or the good cholesterol will bind with free radicals (oxidants) turning the good cholesterol into bad cholesterol or low-density lipoproteins (LDL). This leads to more viscous blood which in turn can lead to blood clots leading to strokes and even heart attacks. 3. Microwaves have been known to effect an abnormal influx of calcium into cells. When there is an abnormal influx of calcium into mast cells, for example, they produce histamine. This is just one of the ways in which microwave exposure has been known to trigger or aggravate allergic reactions. 4. Microwave exposure has been known to induce mitochondrial dysfunction. The mitochondria are the powerhouse of the cell. Dysfunctional mitochondria will interfere with the cells' ability to produce energy and can be linked to fatigue and possibly even obesity. 5. Microwaves have been shown to depolarize the body's red blood cells. This will cause the red blood cells to clump together and when this happens, the amount of oxygen getting to the brain cells and the cells of the body's other organs is diminished substantially leading to hypoxia. This can cause symptoms similar to altitude sickness: nausea, dizziness, inability to concentrate, and so on. 6. Microwave exposure has been shown in studies to induce a decrease in the numbers of Natural Killer (NK) cells, a form of white blood cell which is the body's first line of defense against pathogens. This leads to the body's weakened ability to recover from viral and other types of infections. Therefore, people exposed to microwave radiation would take longer than normal to recover from your day-to-day infections. 7. Exposure to long-term microwave radiation has been shown to change a particular form of white blood cell (lymphocyte) ratio - known as the T-helper/T-suppressor (T4/T8) cell ratio - from normal to abnormal. Abnormalities in this T-lymphocyte ratio have been shown to lead to an increased susceptibility to viral, fungal, and bacterial infections. Symptoms include sore throats, low-grade fevers, weakness, persistent fatigue, and swollen lymph glands. 8. In fact, research has shown that exposure to microwaves and other electromagnetic radiation has been shown to increase viruses, bacteria, mold, parasites, and yeast in the blood of the human host. 9. Microwave exposure has been shown in studies to induce what is known as "subliminal" stress ( since the body does not know it is being stressed) causing the adrenal glands to excrete an abnormally greater amount of cortisol and adrenaline. Excretion of adrenaline, for one, can lead to irritability and a feeling of hyperactivity - the latter now very common in children with Attention Deficit Hyperactivity Disorder (ADHD). In a continuous state, this will eventually lead to adrenal exhaustion, in which the adrenal glands just stop working. 10. Microwave exposure has been shown to cause a decrease of 5-HT in the blood. 5-HT is a precursor to the production of the brain hormone serotonin. Low levels of serotonin have been linked to anxiety and depression. An increase in anxiety and depression can, in turn, be linked to an increase in the number of suicides. 11. Microwave exposure has been shown to induce a decrease in levels of the brain hormone norepinephrine. This hormone is essential for control of the autonomic nervous system, and lack of it can lead to autonomic nervous system disorders. For example, if the autonomic nervous system is not working properly, the body will have trouble regulating its temperature - i.e. cooling itself when it is warm and heating itself when it is cold. This could lead to feeling colder than one would normally when it is cold and feeling warmer than one would normally when it is warm. An abnormal decrease in norepinephrine levels has also been connected to short-term memory disturbances and depression. 12. Production of the brain hormone melatonin has also been shown to be altered by exposure to microwaves. This brain hormone and antioxidant is necessary for proper sleep. 42 million (approximately one in five) Americans now take sleep medication for insomnia while others often experience sleep disturbances due to exposure to electromagnetic radiation (EMR). A drop in melatonin levels has also been connected with increases in breast cancer. 13. A drop in the levels of the brain hormone, dopamine, has also been shown to be connected with microwave radiation exposure. A drop in dopamine levels has been linked with depression. 14. Exposure to electromagnetic radiation has been shown to effect an abnormal drop in the levels of the neurotransmitter acetylcholine. A drop in the levels of this neurotransmitter has been linked to a number of neurological and neuromuscular disorders - including Alzheimer's disease. 15. Some electromagnetic frequencies have been shown to induce restlessness and hence may very well also be responsible for a syndrome called restless leg syndrome (RLS). 16. Electromagnetic fields- like those emitted by cell phones - have been shown to alter regional cerebral blood flow. 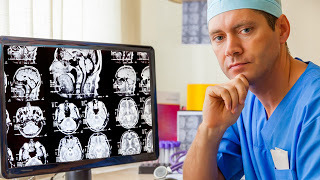 In conditions like autism and chronic fatigue syndrome (CFS) it has been shown via SPECT (Single Proton Emission Computed Tomography) scans that there is a decreased flow of blood to the brain. 17. Numerous studies have connected microwave and other electromagnetic radiation exposure to an increase in allergies. Microwave exposure has been shown to turn on mast cells to produce more histamine - the chemical responsible for allergic reactions - and other electromagnetic fields have been shown to actually increase the number of mast cells in the body. Microwaves have also been found to increase Immunoglobulin antibodies in the body. Immunoglobulin antibodies are responsible for triggering an allergic reaction to a particular substance or protein. Many researchers and scientists were - and still are - puzzled by the fact that the East German population had so few allergies in comparison to the West German population when the two countries unified. But what they failed to examine is the simple fact that East Germany had much stricter regulations regarding ambient radiation levels than West Germany. Since East Germany adopted West Germany's standards, allergies in former East Germany have since reached par with the levels of former West Germany. 18. Microwave exposure has also been shown to adversely affect the heart and could very well be linked to heart irregularities and responsible for triggering heart attacks. 19. Exposure to microwave radiation has also been shown to affect an abnormal increase in nitric oxide (NO). One theory holds that an abnormal increase in cellular calcium will also lead to an abnormal increase in cellular NO, which in excess produces a damage-producing free radical or oxidant called peroxynitrite. 20. Microwave exposure has been shown to open the blood-brain barrier (BBB). The BBB protects the brain from foreign substances like viruses, bacteria, and chemical toxins in the blood which may injure the brain. Thus, exposure to microwave radiation could very well open people up to viral and bacterial infections of the brain which they would not normally get otherwise. 21. There has been a drastic increase in brain tumors and other cancers - not to mention diseases such as autism, ADHD, Chronic Fatigue Immune Deficiency Syndrome, and Alzheimer's - with the advent of the cell phone. Especially, after 1984 (the year the first cellular phone networks were set up in most major cities in the USA) there was a notable jump in children's brain tumors according to the National Cancer Institute (NCI). Brain tumors are now the number two cause of death in children followed by leukemia. Just last year seven people in Melbourne at RMIT University working in a building on the top two floors underneath a cell phone mast suddenly were diagnosed with brain tumors. There has also continuously been an exponential increase in autism since the advent and increase in numbers worldwide of the cell phone. 22. There have been numerous confirmed cases of deformities in animals and plants near cell phone towers. Now, in heavily electro polluted Japan it is very common for women to have miscarriages in their last trimester of pregnancy. Usually, the fetus is deformed. Cell-phone use has also recently been shown to lower sperm count in men the longer they use the phone ( e.g. one hour as opposed to four hours). "All that is necessary for evil to triumph is for good people to do nothing"
P.S. The cell phone industry has been buying up the patents on inventions that help protect cell phone users from the harmful radiation emitted by cell phones. Unfortunately, it is a catch-22 situation for them since if they use them, they are hence admitting what they have been denying all along - that cell phones are actually dangerous. This would open them up to a plethora of possible lawsuits. Either way, the consumer loses.